Wembley Downs shops. Signs of things to come…? One year and one month after the fire that took out our local shops, and 13 months after expressions of an anticipated rebuilding and re-opening for this Christmas, the site is looking pretty bleak. The tremendous welling of community support and comfort for those who had lost livelihoods and a community meeting place have mellowed from immediate aftermath fervour to a silent wistful daring to hope that maybe, some day, this thriving centre will revive. But right now, the lot is vacant and it is only the weeds that thrive. The noticeboard provided on site by the city council displays faded designs and hopeful news clippings that are now months out of date. 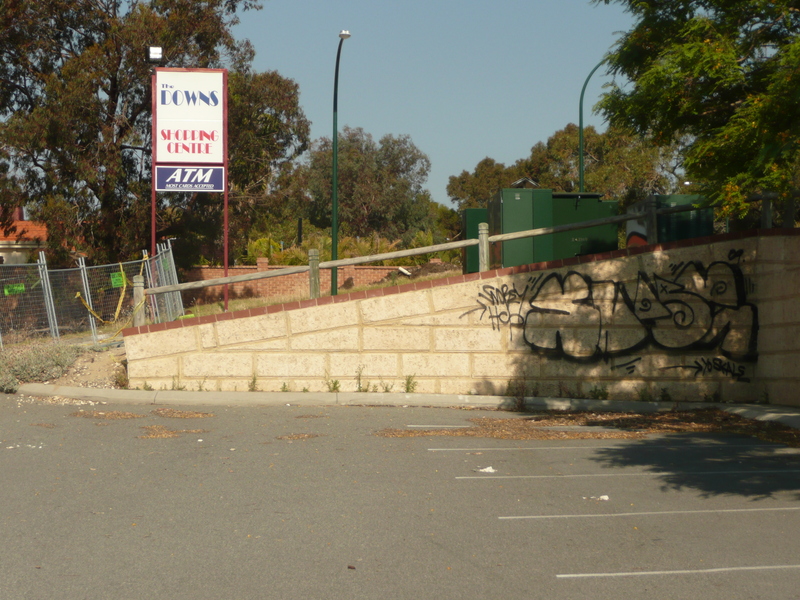 There are gaps in the safety fence and the notices from shop owners redirecting valued customers are covered in graffiti. The latest newspaper report indicated that tenders were out and that work on the site would start late November. This morning, as the last day of November dawned, there was no indication that anything was different. 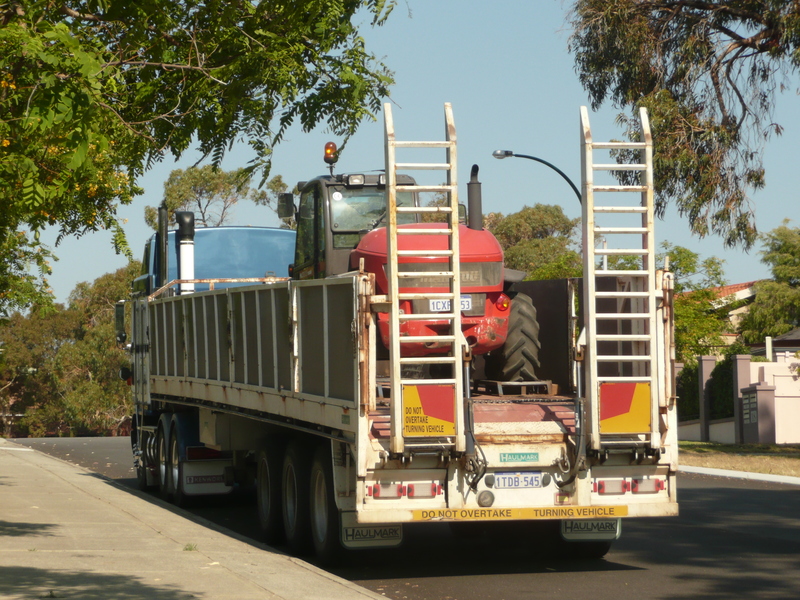 This afternoon, a semitrailer carrying earthmoving equipment was parked by the site. Does this mean anything? Is this a sign of things to come? Or is this machinery unrelated and just visiting? Who knows? We are in the early part of the season of Advent, a season of anticipation on a much larger scale than a local shopping centre. Advent celebrates both the first coming of the reign of God as expressed in the life, teaching and mission of Jesus of Nazareth, a coming so tangible that collective memory refers to and celebrates Jesus as “God-with-us.” But there is also a “not-yetness” to all this – a call to “prepare the way” and to “recognise the signs” of the reign of Yahweh that, in the fullness of time, will manifest itself in world-shaking wonder. The signs are already present in those who embrace and apply the kind of peace, forgiveness and love that the way of Jesus manifests. It is obvious however, that shaking of mammoth proportions must occur throughout the planet before it can be asserted that this way has taken form and purpose amongst the world’s populations. It is a way that transcends philosophy, religions and mindsets. The institutional forms that have surrounded and, barnacle like, encrusted it cannot contain it. It is accessible to every human being, no matter what culture, faith or disposition. The prophet Isaiah foresaw this as, 500 years before Christ, he dreamed of the fulfillment of shalom, the completion of Yahweh’s purpose of the perfect harmony of human beings in relationship with self, neighbour, Yahweh and creation. Just as the bobcat at the local shops site teases us at the possibility of things to come, so the season of Advent does likewise on a much bigger and more transcendent scale. Back to active watching and active waiting! 6 days on – a bulldozer is on site and three blokes are walking around! !